SUPERB FAMILY HOME WITH SO MUCH POTENTIAL FOR EXTENDING... as have many other properties in recent years on this extremely popular road of 1960s built homes on very substantial plots. We are expecting considerable interest as properties that are ripe for upgrading are becoming more rare within the more prestigious addresses within Bingham - hence the price being set so sensibly to allow for a wonderful extension and considerable reconfiguring of the layout. Within the Centre of the Town is Bingham Market Place with its range of shops. Carnarvon, Robert Miles and Toothill Schools catering for all school age groups are also extremely popular and highly regarded due to their Ofsted reports. For the busy executive, the upgraded A46 & A52 are close at hand providing access to the surrounding commercial centres of Nottingham, Newark, Leicester and Grantham. Bingham enjoys a wonderful range of supermarkets and independent shops, eateries, coffee house, public houses with a market held every Thursday. There is also a medical centre, pharmacies, dentists, leisure centre and a library. Should a shopping trip to the larger towns be the order of the day Bingham has direct rail links to Nottingham and Grantham and bus routes to Nottingham and the surrounding villages. Bingham is on the edge of the renowned Vale of Belvoir which provides endless hours of walks as well as a variety of quaint rural villages, each with their own individual character and many with a village pub! A generous two double bedroom Park Home with an en-suite shower room and dressing room to the main bedroom and all occupying a corner plot that is very easy to maintain, with a raised area of decking that enjoys plenty of sunshine - ideal for those who enjoy al fresco dining during those balmy summer evenings. 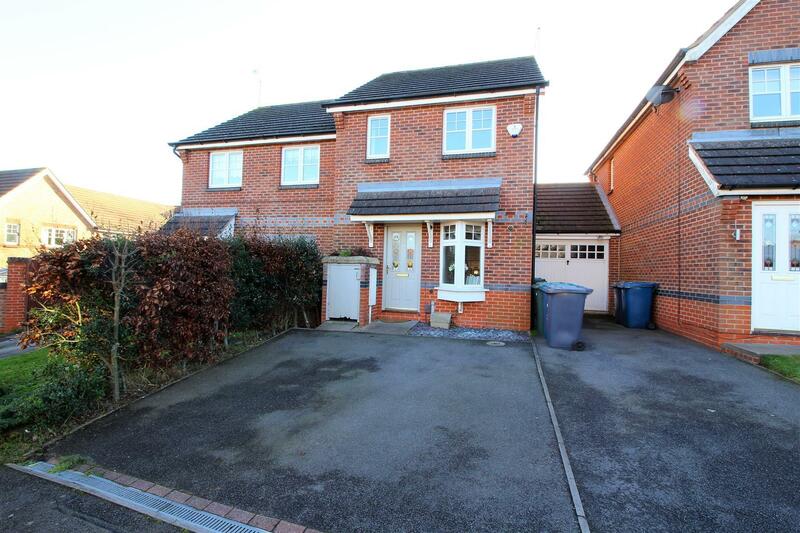 Internally the property is well presented and well maintained with UPVC double glazing, gas boiler, fitted kitchen, spacious sitting room with dual aspect and open plan to the dining area creating a fantastic L shaped living space. There are two double bedrooms, the master benefitting from an en-suite shower room and dressing room and there is a separate bathroom. Occupying a wonderful position upon this long established purpose built site on the edge of this very popular Vale of Belvoir village. The location could not be better being only a couple of minutes from the A46 & A52 which provide access to Nottingham, Leicester, Grantham and Newark. For those requiring national access the A1 and M1 are within half an hour s drive as is East Midlands International Airport. All mains services are connected and the property has the benefit of gas central heating and UPVC double glazing. Externally, there is access to a driveway and an ample detached garage. The site does not allow pets and all occupants must be aged over 45. 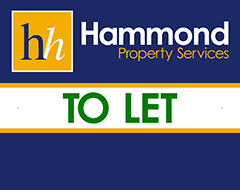 LEASE INFORMATION There is a monthly service charge which is currently set at £180.00 which includes the general maintenance, lighting and cleaning of the site, the communal grounds as well as the water rates and waste sewerage. Attention young professionals / property investors the sale of 18 Fairway Crescent offers the perfect opportunity to purchase a well-proportioned home which provides delightful semi-rural living. Fairway Crescent offers the ideal blend of country living yet close by to all amenities provided by nearby Bingham. This two bedroom property enjoys parking to the front for two vehicles - ideal for the professional couple. 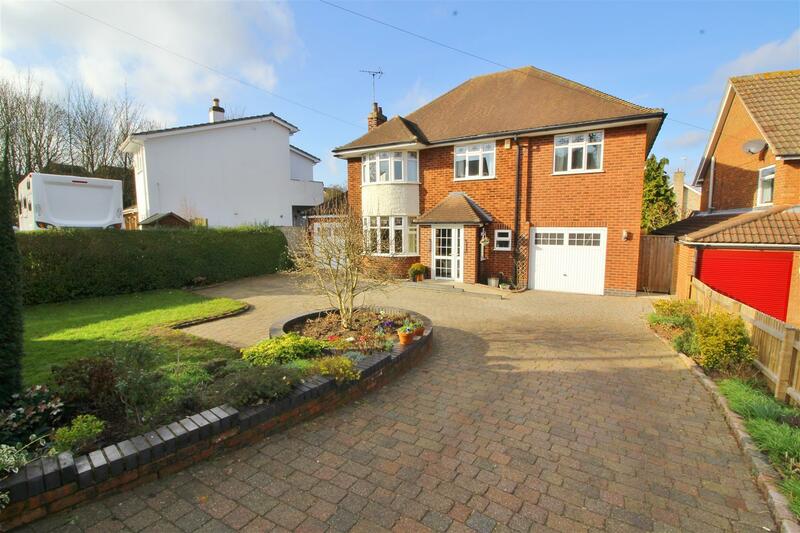 The property benefits from a light & airy kitchen, stunning bathroom plus attractive landscaped rear garden. Newton is a small village just a couple of miles from Bingham where there are a range of shopping and educational facilities. 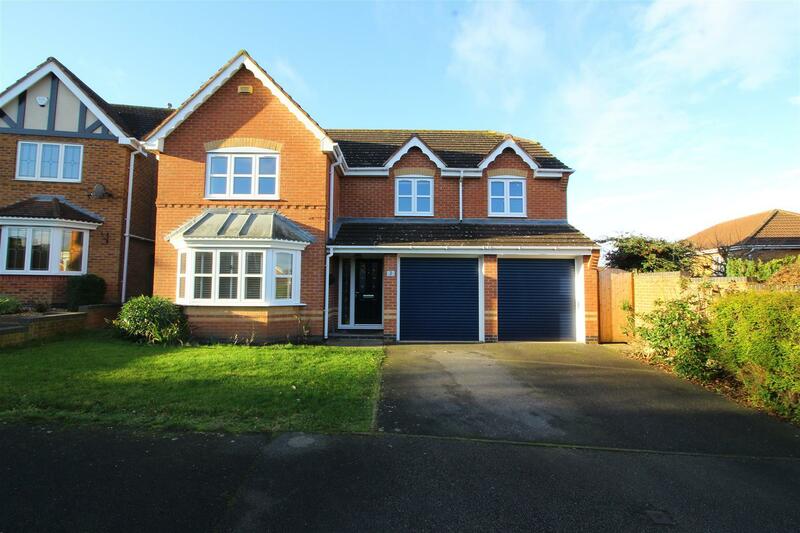 This fine home is also just a short distance from the recently improved A46 and A52 which provides access to all surrounding centres including Nottingham, Newark, Leicester and Grantham. The development is superbly located just off the meeting of the A52 and A46 at Saxondale Island, with Newark, Grantham, Leicester and Lincoln, all within a comfortable commuting distance following the recent upgrading works to the A46 now that it enjoys a dual carriageway. For busy professionals, Newton really is the perfect location. It is around 9 miles from Nottingham City Centre and is just a couple of minutes from the Vale of Belvoir with its quaint villages and lovely countryside ideal for relaxing Sunday afternoon walks! *** SOLD ALREADY - TO ONE OF OUR OPTION 3 CLIENTS *** - FOR FURTHER DETAILS OF HOW THIS SCHEME WORKS, PLEASE CONTACT OUR OFFICE ON 01949 87 86 85 - The more relaxed way to buy your next home in Bingham! This fine executive development boasts a justifiably high reputation within the area and provides a very pleasant environment for young families/professional couples within the development are a number of different property styles. This substantial home is, without doubt, one of the most popular designs as it provides accommodation tailor made for families with 4 double bedrooms, as well as those couples who enjoy entertaining and having friends to stay over. The good sized landscaped rear garden is well matched by an equally well proportioned gas centrally heated and double glazed interior which enjoys the particular attractive modern feature of a sizeable family area off from the kitchen which considerably enhances the already typically spacious David Wilson ground floor living area. 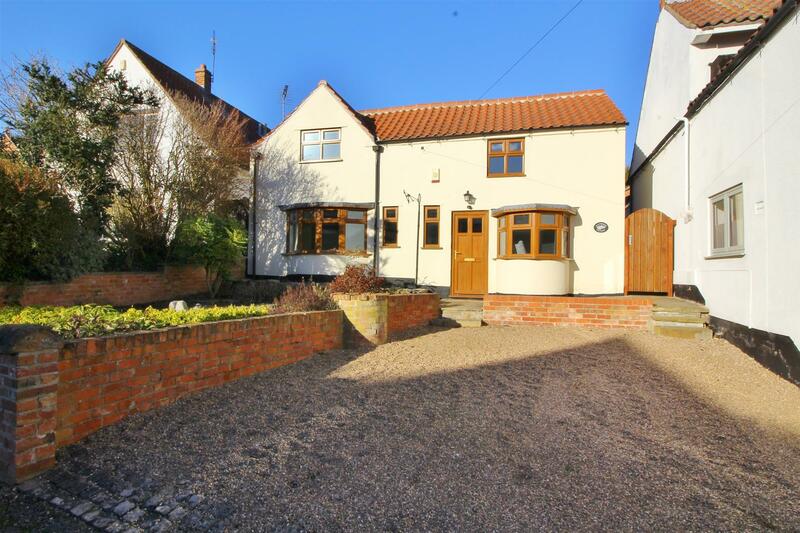 The location could not be better being just a couple of minutes from the A46 & A52 two of the most important roads in the area allowing access to Nottingham, Leicester and Newark. For those requiring national access the A1 and M1 are within half an hour s drive, as is East Midlands International Airport. Bingham Market Place provides a good range of shops and a regular bus service to Nottingham. Schooling exists for all age groups within Bingham and there is also a good range of leisure facilities available at the Leisure Centre. Quality homes in this prime location rarely remain available for long have no delay in viewing to avoid possible disappointment. This is an excellent opportunity for one lucky purchaser to acquire a beautifully maintained 2 bedroomed home with the added bonus of the additional ground floor living space provided by a large conservatory to the rear that overlooks the southerly facing, sunny and private rear garden. There is ample off street parking to the front for two vehicles. The gas centrally heated and double glazed interior enjoys a pleasant light and airy feel to it. The décor is simple and yet very effective when combined with the stylish laminate flooring throughout the lounge and kitchen. This is an excellent opportunity to acquire this Semi-Detached House which has been extended to the rear and is situated in this popular cul-de-sac location with a southerly facing rear garden backs on to the Linear Walk - perfect for those summer evenings as there is plenty of privacy provided by the foliage and yet a secure gate gives you private access to the Walk. The accommodation comprises an entrance porch that leads into the entrance hall, a large Lounge/Diner, extended kitchen, sun room/dining room and to the first floor there are 3 bedrooms and a family bathroom. The previous owners created a double door opening between Bedroom 1 and Bedroom 3 - this is ideal for those with plans of a Nursery or for a linked Dressing Room to the main bedroom. Outside the house stands in a cul-de-sac position with a drive to the front providing ample off road parking and garage. This gas centrally heated and double glazed property is tailor made for single professional/young couples. 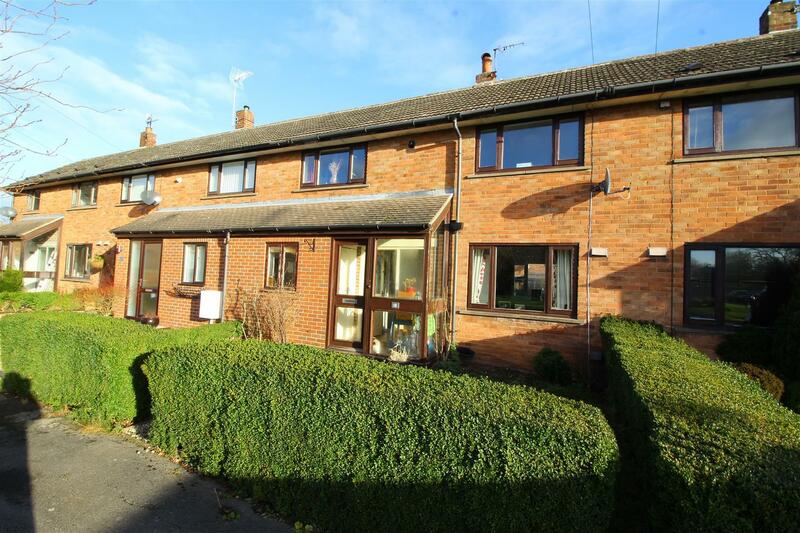 It is within easy reach of the shops and amenities within the Market Place and is also well placed for the A46 & A52 which allow access to the surrounding centres of Nottingham & Leicester. Within the Centre of the Town is Bingham Market Place with its range of shops. Carnarvon, Robert Miles and Toothill Schools catering for all school age groups are also extremely popular and highly regarded due to their Ofsted reports. For the busy executive, the upgraded A46 & A52 are close at hand providing access to the surrounding commercial centres of Nottingham, Newark, Leicester and Grantham. Bingham enjoys a wonderful range of supermarkets and independent shops, eateries, coffee house, public houses with a market held every Thursday. There is also a medical centre, pharmacies, dentists, leisure centre and a library. Should a shopping trip to the larger towns be the order of the day Bingham has direct rail links to Nottingham and Grantham and bus routes to Nottingham and surrounding suburbs. One of the best semi-detached homes currently on the market at this price range! Built by Lindon Homes, this first-class home conveniently located in this sought after development provides beautifully appointed accommodation in ready to move into condition AND is being offered with NO CHAIN. The gas centrally heated and double glazed accommodation is absolutely perfect for young professional couples or those with young family seeking stylish living in this very popular Market Town. The stylish interior is well complemented by an equally well presented, landscaped and sunny garden which, we are informed, is a delight to sit out in during the long, hot summer months! With the added benefit of an en-suite shower room to the main bedroom as well as a grounds floor W.C., this property has all the hallmarks and features of a property at a much higher price range. Due to the owner's situation, there will be the option for the lucky buyer to purchase some of the items within the property (excluding kitchen table and chairs and the lounge settee. The property is situated just a few minutes drive from Bingham Market Place where there is a good range of shops. 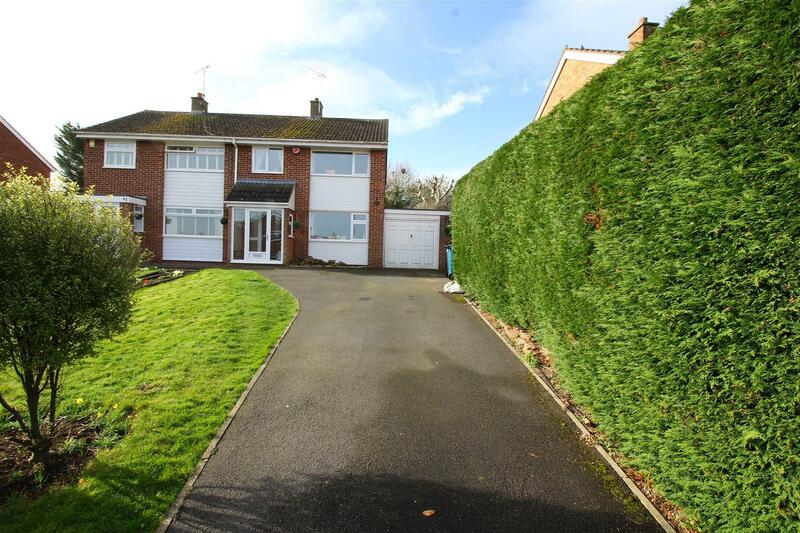 The property is also handily placed for access to the A46 & A52. Also, close by, is the Leisure Centre which provides a whole host of sporting and leisure activities. Bingham is on the edge of the renowned Vale of Belvoir which provides endless hours of walks as well as a variety of quaint rural villages, each with their own individual character and most with a village pub! The stylish finish, coupled with the light and airy position within this much requested development, will no doubt encourage a high degree of interest and early sale don t miss it! A delightful period cottage, with parts believed to date back to the mid 18th Century, which has been sympathetically extended by the previous owners in 1989 to provide more suitable living accommodation for the 21st Century. The charming interior has retained many original period features whilst providing a modern gas centrally heated specification with double glazing windows. The property is beautifully presented with new decor and carpets fitted throughout - February 2019! The accommodation comprises an entrance hallway, large lounge, separate dining room and an extnded kitchen overlooking the rear garden. To the first floor is a large main bedroom with en-suite shower facilities and two further bedrooms which are served by the 3 piece suite bathroom. The off street parking to the front is unexpected with a property of this age... but it is the private rear garden with the refurbished and upgraded outbuildings that is a real delight - so seldom found with many cottages within the villages! 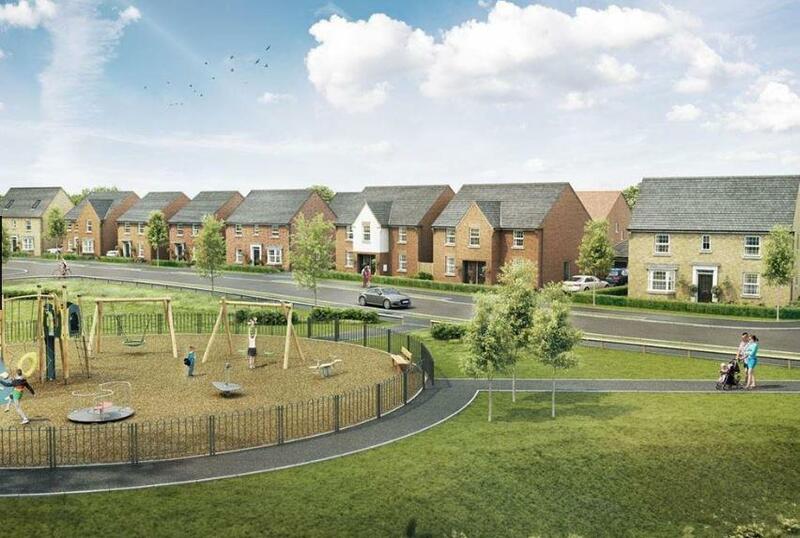 The Conservation village of Cropwell Butler is within easy reach of Radcliffe on Trent and Bingham where there are comprehensive local amenities and facilities including shops, banks, restaurants, schools and leisure facilities. The village has a well reputed pub, The Plough and regular public transport services. The recent works to the extension and widening of the A46 now provides very easy access for those requiring a quick and more safe journey to Newark, Lincoln or areas of Leicestershire. 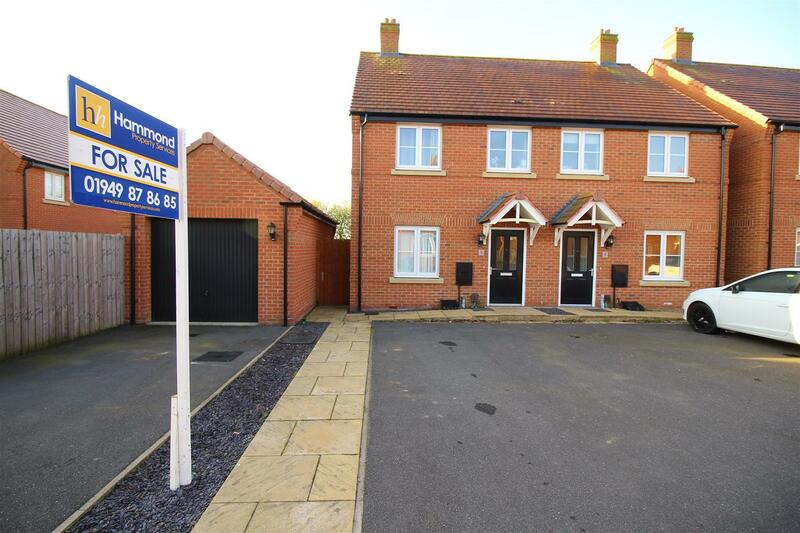 If you are seeking a sensibly priced home of space, style and privacy tucked away on a quiet cul-de-sac - well away from the A52 and within this prestigious David Wilson development, then look no further than this one! This fine executive development boasts a justifiably high reputation within the area and provides a very pleasant environment for young families/professional couples within the development are a number of different property styles. This substantial home is, without doubt, one of the most popular designs as it provides accommodation tailor made for families with 5 double bedrooms, as well as those couples who enjoy entertaining and having friends to stay over. The south westerly facing rear garden is well matched by an equally well proportioned gas centrally heated and double glazed interior which enjoys the attractive modern feature of a sizeable family / dining area off from the kitchen which considerably enhances the already typically spacious David Wilson ground floor living area. 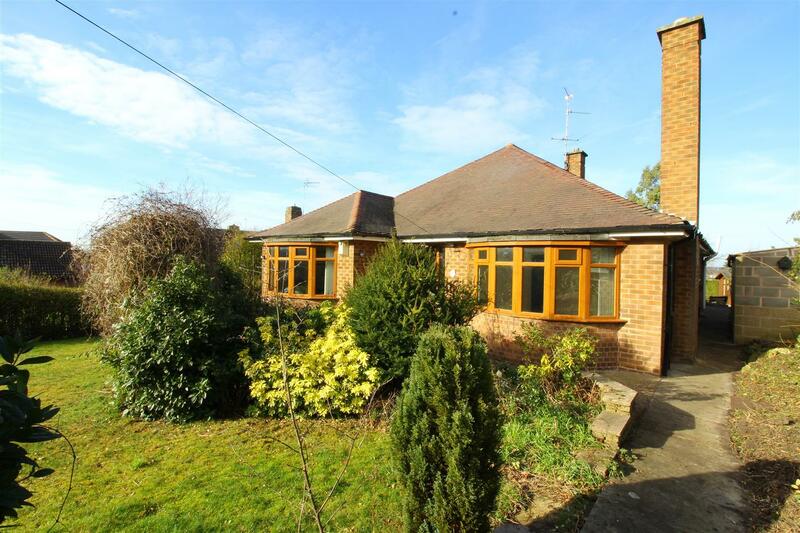 A very spacious 3 bedroomed detached bungalow that was built during the 1950s with scope for further development to create a magnificent home - basing everything around the very spacious and feature central area. There is further scope for the opening up of the kitchen and dining room to create that 'open plan' dining kitchen taking full advantage of the views across the fields to the north. The total Plot Area is about a quarter of an acre and the property is being offered with NO CHAIN. The property has a substantial frontage to Beacon Hill, there are front and rear gardens and the property is approached to the rear by a private road right of way. There is useful pedestrian access from Beacon Hill Road via the front garden. 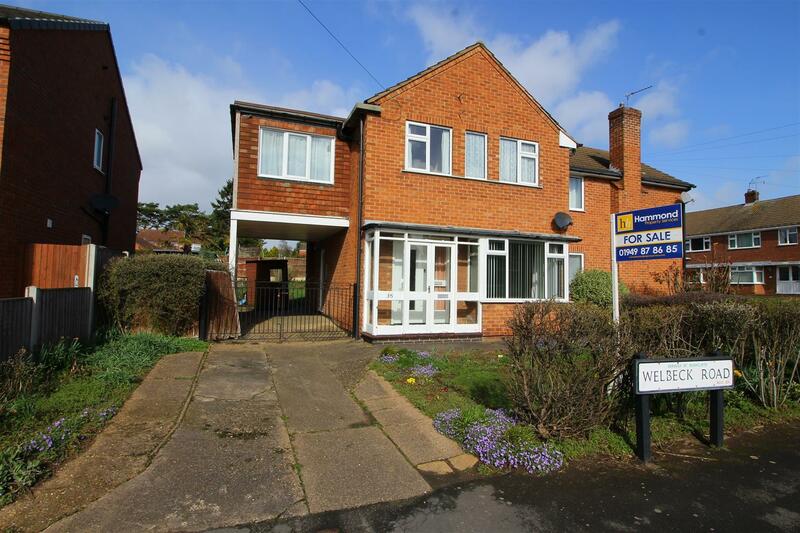 The property stands on the brow of Beacon Hill Road, a well-established residential area with high value detached houses and bungalows in the immediate vicinity. The location is less than one mile from Newark Town centre and yet there are wonderful mature and rural views to be enjoyed across adjoining fields. The well planned and spacious accommodation is particularly light and airy throughout. The rooms are well proportioned and with good ceiling heights there is a feeling of space throughout the property. The principal accommodation provides a front porch, a spacious inner hall area, lounge with bay window, separate dining room, kitchen with integrated appliances, 3 double sized bedrooms, bathroom with shower, back porch, boiler room and integral garage. There is potential loft conversion subject to the necessary building regulations and Planning Permissions. 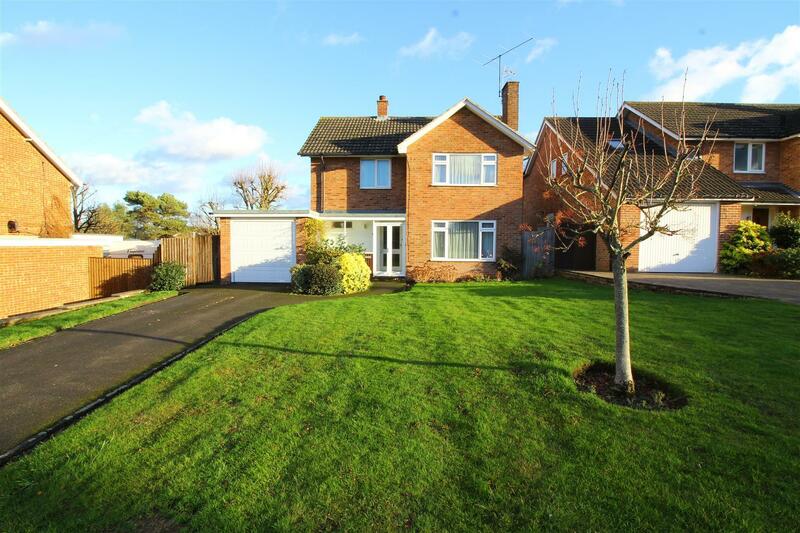 Communications are excellent as the town lies on the intersection of the A1 trunk road and the A46 - with this property only a 3 minute drive to the A1. Main East coast railway trains are capable of journey times from Newark Northgate to London King's Cross in just over 75 minutes. There are rail services from Newark Castle station to Lincoln and Nottingham. 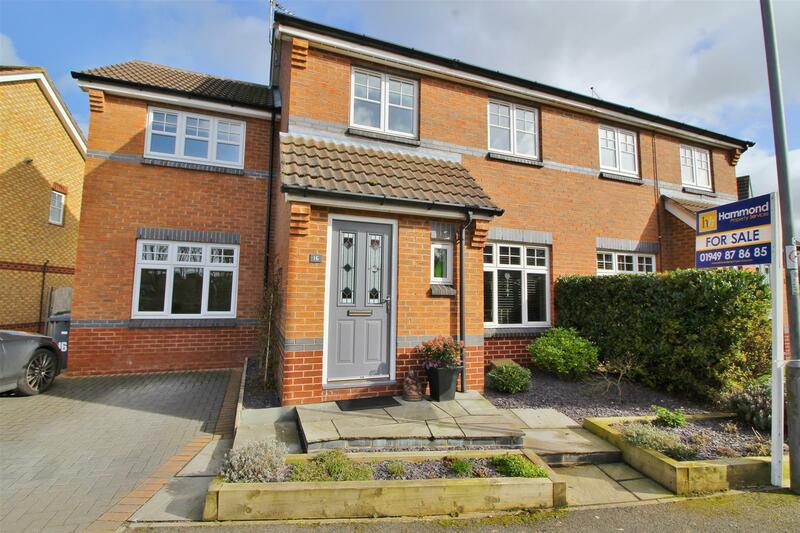 The sale of this well presented modern mid townhouse affords another excellent opportunity to purchase one these ever popular, easy and economical to maintain homes. There is no onward purchase for the owners and, therefore, it is available with NO CHAIN - ideal for those looking for a speedy and hassle-free purchase! So, if you are seeking an easily maintained home which provides tastefully appointed accommodation, in ready to move into condition, have no delay in viewing 27 Rockingham Grove! A beautifully presented detached family home built during the 1930s with style and quality materials throughout with a leaning towards space, space & more space! This prestigious property sits on a substanial plot that ensures everything you could wish for - ample parking at the front for numerous vehicles on the block paved driveway, set well back from Tithby Road to ensure peace and quiet from passing traffic and, more importantly, a perfectly proporitioned rear garden with plenty of privacy as well as being west facing - perfect for the sun worshippers who enjoy al fresco diing during those balmy summer evenings or who enjoy lazy afternoons in the sunshine with a crossword in one hand and cup or tea in the other (or a glass of Merlot). The additional space provided by the recently added conservatory further enhances the already spacious ground floor accomodation. To the first floor landing, a staircase allows access to the loft - with scope for further development to create play room? TV/cinema room? a further bedroom? Bingham is on the edge of the renowned Vale of Belvoir which provides endless hours of walks as well as a variety of quaint rural villages. 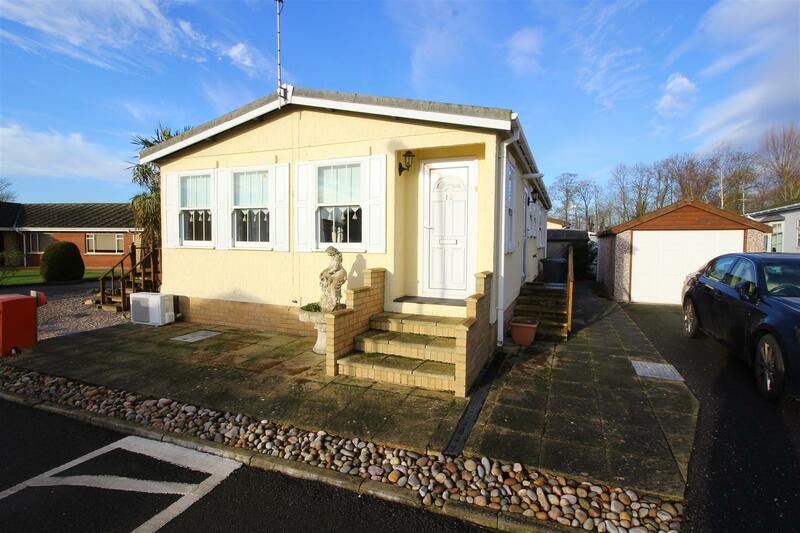 A RARE OPPORTUNITY TO ACQUIRE A STYLISH SEMI DETACHED BUNGALOW LOCATED WITHIN A SELECT CUL DE SAC OF SIMILAR PROPERTIES DESIGNED SPECIFICALLY FOR THE OVER 55s ONLY. 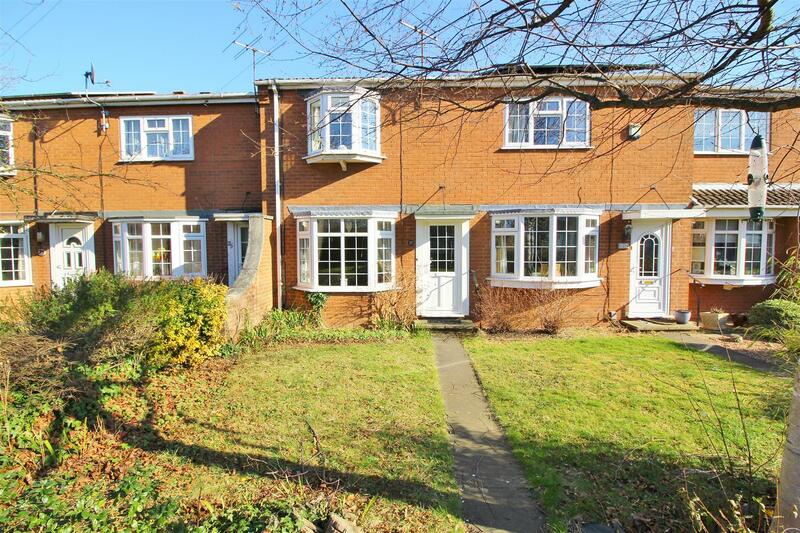 This well presented and double glazed property enjoys a delightful position being just a gentle stroll from the Market Place where there is a range of shops as well as a regular bus service and a rail service to Nottingham City Centre. 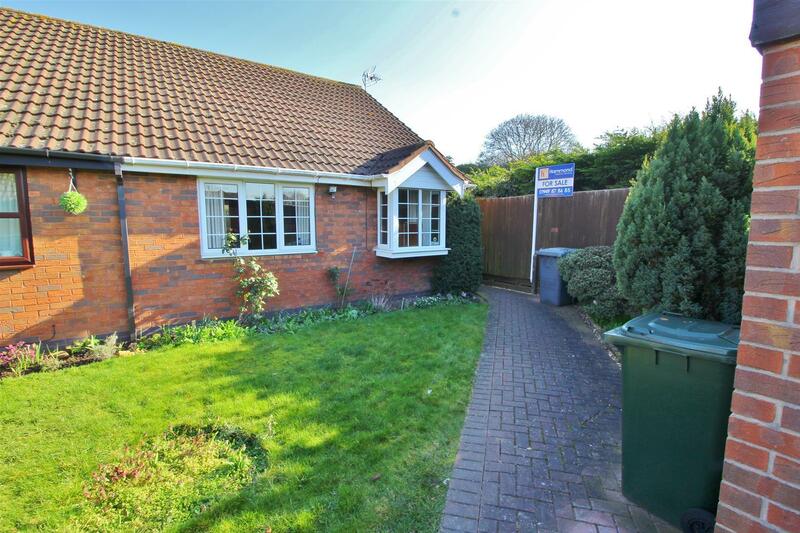 The property is ideal for the more mature purchaser as it has easy to maintain and manage accommodation which also benefits from a 10 x 8 3 conservatory which overlooks the low maintenance rear garden. The DETACHED GARAGE provides that additional secure storage which is so seldom found with Bungalows within this cul-de-sac. If you are seeking a sensibly priced three bedroom home favourably located within a quiet cul-de-sac, this could be the property you are looking for. There is a wide frontage with mature shrubs and a driveway with ample parking to the front which leads to the large carport area. 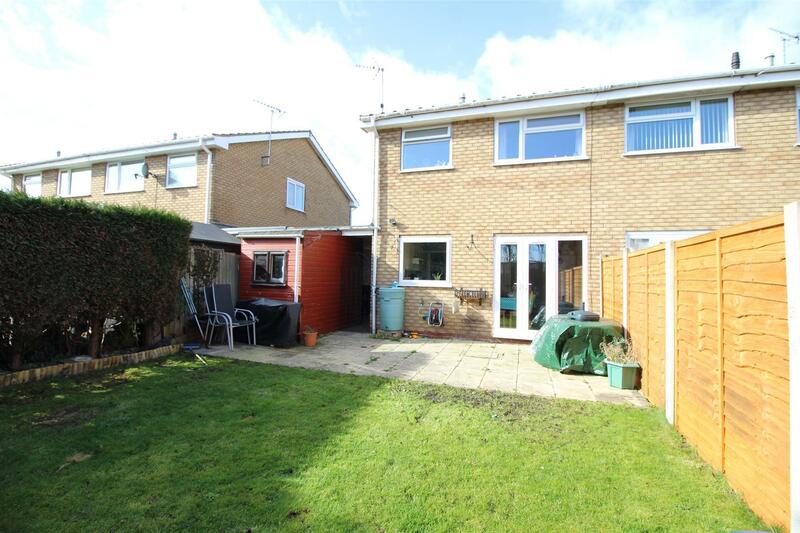 To the rear is a delightful garden with large area of patio and lawn with a mature border to the rear and a useful garden shed. At the moment the market for semi detached homes in Bingham is extremely buoyant. When this is taken into consideration along-side the very competitive asking price, we feel sure that 7 Charnwood Grove will not be around for very long. An immaculately presented three storey cottage, located in the heart of the highly regarded village of East Bridgford with fabulous views across to towards the village Church. 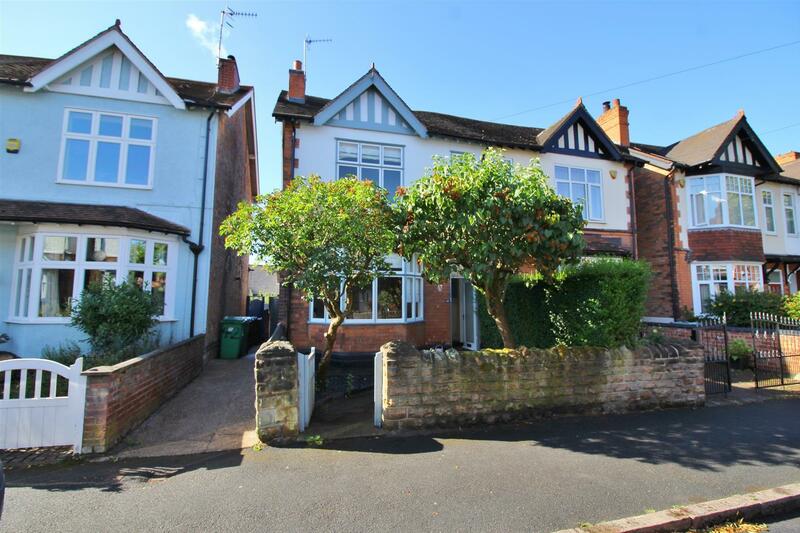 East Bridgford amenities include a wonderful shops, Post Office, popular pub, health centre and good public transport links in addition to the excellent St Peter s Primary School. On the ground floor is a kitchen / diner with a wealth of characterful features including an exposed brick fireplace with wood burning stove, traditional tiled floor and original exposed beams. The kitchen itself has floor and wall mounted units with beech worktops, integrated electric oven, gas hob, integrated fridge and washing machine. To the first floor there is a spacious lounge area with feature Victorian fireplace with surround and feature wall. This room is temporarily being used as a bedroom such is the versatile nature of the layout - and it enjoy wonderful views towards the village Church. On this level, there is a separate W.C. with washbasin and a separate contemporary styled bathroom with feature sink and vanity cabinet, panelled bath and shower above. 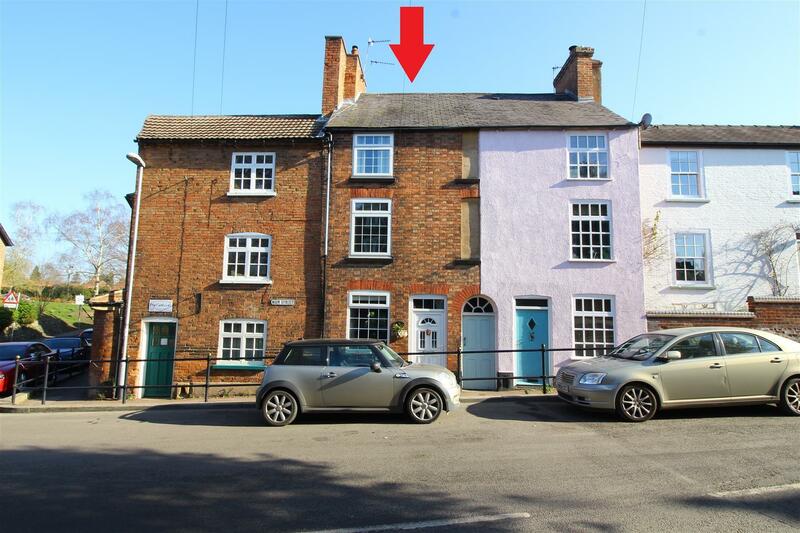 To the second floor the property has a double bedroom with feature Victorian fireplace enjoying pleasant views towards the church and a further bedroom. To the exterior the property has a communal courtyard accessed via the back door from the kitchen or enclosed alleyway to the side of the property. Located in the courtyard is a secure storage shed. The property benefits from double glazing and gas central heating throughout. The boiler is a Worcester condensing boiler and the electrics have also been updated in recent times. AN ELEGANT AND TRULY SPACIOUS, SEMI DETACHED HOME - ONE THAT OFFERS A HIGHLY DESIRABLE BLEND OF CONSIDERABLE PERIOD CHARM AND CHARACTER, COMBINED WITH MODERN FIXTURES AND FITTINGS. The property is absolutely ideal for families and or those who enjoy entertaining having the benefit of an enlarged and very well fitted kitchen and breakfast/family room which extends to almost twenty feet in length and leads out onto a large decking area which is bathed in sunshine being southerly facing perfect for those who enjoy al fresco dining during those balmy summer evenings. Steps lead down to a good size garden to the rear which is fully enclosed and has an above average level of privacy. A number of original features remain in the house, these include the Minton tiled floor to the hall along with cast iron fireplaces to two bedrooms and there are two feature fireplaces to both reception rooms. The accommodation comprises as follows. Ground Floor: entrance hall, sitting room, dining room/playroom/office, kitchen and family/breakfast area. 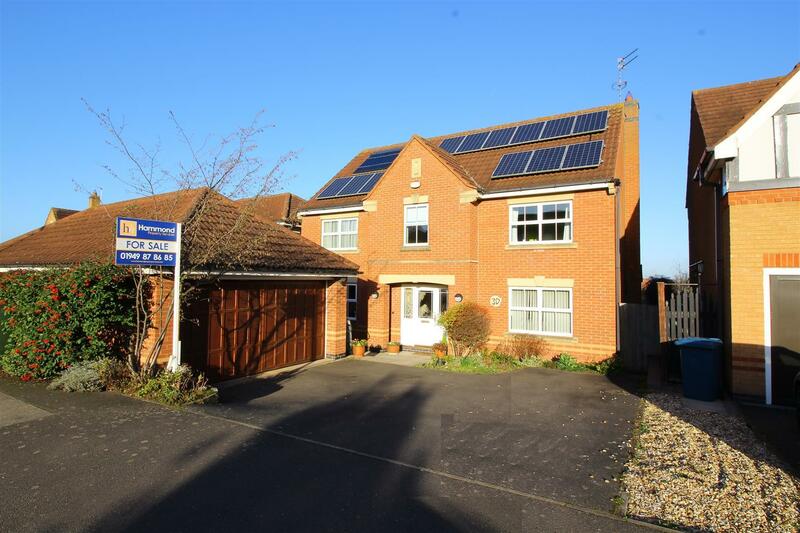 A very large double bedroom to the front, two further bedrooms and a completely upgraded bathroom with walk in shower... is this the best house available on this road? Why not arrange a viewing to find out? Leonard Avenue, along with the adjacent Compton and Caledon Roads, lies in the heart of one of the most sought-after parts of Sherwood. These roads are extremely popular due to comparatively high-status dwellings; the discerning buyer needs only drive down them to feel the sense of quality of the properties and the neighbourhood. Another draw factor is the ease of access to Nottingham city Centres with public transport to hand on nearby Hucknall Road and an array of shops and meeting places on the revitalised Mansfield Road. Haydn Road Primary School is only a short walk away... so there is no excuse for being late for morning Registration! Call us to day to book your viewing appointment. 4 BEDROOMS FOR THE PRICE OF 3!!! If you are seeking a sensibly priced FOUR bedroom home, favourably located within the very popular village of Radcliffe on Trent, this could be the property you are looking for. The gas centrally heated and double glazed interior offers ideal living space for first time buyers/young families. There is the added bonus of the large garden to the rear which will also benefit from imaginative works to enhance the original layout of the gardens. There is ample parking to the front on the driveway with further hard standing under the extended bedroom / carport. Radcliffe-on-Trent is a popular residential village located approximately 6 miles from Nottingham. The village has a wide selection of local shops, pubs, restaurants and amenities along with primary and secondary schools. Road networks are easily accessed from the A52 to the A46 and A1 to Newark and Grantham where there is a train link to London in approximately 71 minutes. DO NOT JUDGE A BOOK BY ITS COVER!!! 4 bedrooms for the price of 3! From the moment you walk through the front door, you get the sense that this property is like no other in Bingham at this price range! The hallway opens into the original lounge which, in turn, opens into the wonderful open plan living / dining kitchen to which there are bi-folding doors across the full width of the property. Once these are fully open, the garden 'leaps into the house'! The fitting of these feature doors result in a steel beam structure that resulted in no vertical support required to the corner - ingenious... and this means that the 'L' shape section of the extension enjoys uninterrupted views - just take a look at the photographs! The bonus features of a ground floor study / playroom and a utility room with separate W.C. / cloakroom allow this property to compete with (and beat) similar properties at this price range. To the first floor, the main bedroom enjoys a 'boutique hotel quality' en-suite shower room... simply stunning! The further three bedrooms are served by a similar quality family bathroom with free standing oval bath. There is ample parking to the front and a cleverly landscaped garden to the rear which incorporates patio area, lawn with established borders and a decking and seating area from which to enjoy the last rays of sunshine during those balmy summer evenings. A secure garden store with a remote control roller shut door allows safe storage for garden furniture or general family 'overfill' bits and pieces! 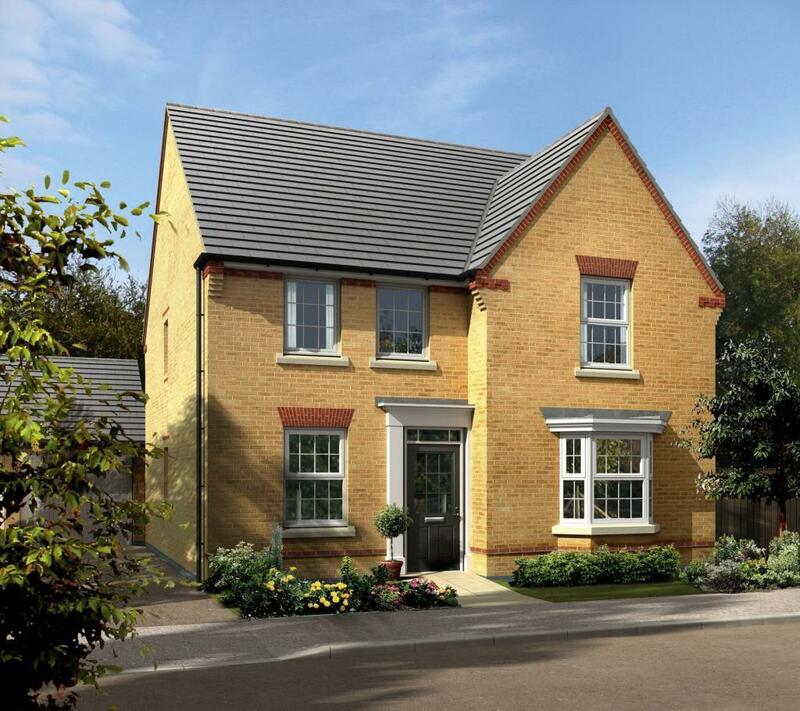 The Kennett is a good sized family home, ideal for flexible modern living. The bright, open-plan dining kitchen features French doors leading to the rear garden. There's a spacious bay fronted lounge perfect for the family to relax in. Upstairs you will find two double bedrooms, the family bathroom and access to the second floor, which is entirely occupied by a spacious master bedroom with en suite. 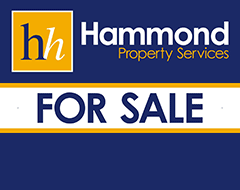 Please call Mel or Charlotte in our office on 01949 87 86 85 for more information. Demand is going to be high for these new, top quality, homes with stock being gradually released over a period of time, so if you want to be one of the first to purchase a new home book your FREE valuation now.